Hello Houzz Community! We are Luxapatio, an outdoor design, and construction company based out of South Florida. Our Company To say Luxapatio is a leading expert in patio design is very true. That is the essence of what we do but it hardly tells the whole story. Our mission is to offer comfort and luxury to your backyard and patio while providing our clients with a custom design that fits their budget and needs. 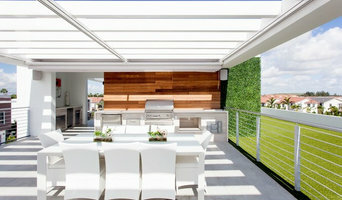 At Luxapatio we specialize in outdoor kitchen designs, pergolas, decks, pavers, artificial grass. We also carry a vast selection of equipment and a beautiful collection of outdoor furniture to enhance your outdoor living experience. History We have years of experience in the architectural field, where in South America the company originated, Providing comfort and luxury to numerous residences. Since 2005 we have been based out of Miami with the understanding that a pleasant outdoor experience in South Florida is a must. To this date, Luxapatio has completed over a thousand custom projects in the Miami Dade and Broward area making us leading experts and south Florida’s first choice in Patio Projects. Expect More Our experienced and knowledgeable team of licensed and insured general contractors, architects, friendly staff and specialty builders are here to offer you the best in construction, design and customer service. 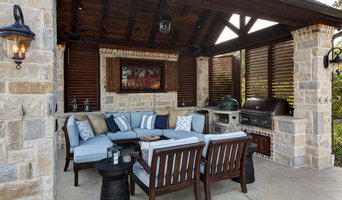 We work tirelessly to provide you with the fastest and most pleasant experience in the field of home improvement with one main goal in mind; Functionality, enjoyment, comfort, and beauty for your next backyard or patio project. Jaavan brand offers high quality synthetic wicker outdoor furniture to Miami homeowners. Jaavan collection is modern and durable using only High Density Polyethylene from Germany accompanied by an aluminum frame. The frame is made of rust free aluminum, powder coated and painted (commercial grade A). Our outdoor furniture is made to withstand extremes of temperature, sun, humidity, rain, snow, and salt. It is also non-toxic and environmentally friendly. The legs are accented with aluminum caps and rubber glides. Jaavan has a large inventory and is able to provide patio furniture from its own stock avoiding the order’s waiting time to its customers. Jaavan carries one of the most extensive collections of luxury patio furniture, commercial patio furniture and custom patio furniture in the industry. Jaavan is constantly updating our styles, fabrics and finishes offering many collections to choose from. High quality outdoor furniture and accessories, are shipped throughout the US, Canada and the Caribbean. It is no secret, we love building and designing decks, waterfalls, ponds and streams. We consider ourselves fortunate to have the opportunity to wake up every morning and do what we love to do. Make no mistake about it, if you are interested in a custom designed deck, water feature or koi pond...you've come to the right place. Renu At Hand is a family-owned and operated remodeling contractor that specializes in custom decks, custom patios, under and off ground koi ponds. We provide outstanding services to our customers and always deliver on-time. Renu At Hand, Inc. was established in 2001 by Salomon Guerra. He brings to the company over 15 years of detailed home finishing experience, from landscape design to decks and interiors. We pride ourselves on efficiency, attention to details, and creativity. The goal of our company is to be renown for the quality of the work that we provide as well as courteous attention to our clients needs and desires while working their budgetary realities. Lee County's Full Service Aluminum Experts for 20 Years! For over 12 years, Alumicenter, Inc. has been creating ideal patio space to maximize outdoor living in backyards all over South Florida since 2004. During this time, we have had the opportunity to build many projects and create long-lasting relationships with our customers. Since we have opened our doors, our commitment has been to provide all our customers the best options available in regards to design, budget and construction. This principal has been the core of our business, guiding us to be successful in building and keeping our customer base. Because we live in a hurricane state, this is a strongly-regulated industry and we are proud to say that Alumicenter is continually meeting and exceeding county codes for safety to offer you peace of mind you deserve on your investment. 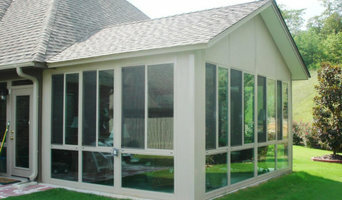 In addition to louvered roofs, we specialize in the manufacturing and installation of residential patio enclosures, screen rooms, sun rooms and hurricane shutters. For you weekend warriors and DIYers, we also offer insulated roof kits and carports. Outdoor Living Environments, complete design build services, innovative products including our own US Design patented "Solaris" a parabolic performance shade structure, full scope fabric architecture, tensile fabric sails, awnings, fencing & screening, and related architectural details for the outdoor living environment. Let your dream patio come to life with the help of "Your Patio Experts". From design to planning to construction, we create custom outdoor entertainment spaces perfect for your home. We have exceptional customer service backed by years of experience and will find the best solution to upgrade your outdoor living space. Our work will transform your space into the perfect escape, help move your entertainment outdoors more comfortably, and bring increased value to your home. Give us a call for a free consultation! Welcome to Miami Pergolas, Exclusive designs to suit your lifestyle. Miami Pergolas has been servicing the Miami metropolitan area and its surroundings, from Broward to Miami-Dade and Monroe County, for many years. At Miami Pergolas, we endeavor to deliver the best alternatives to your home, on time and on budget, ensuring quality always. From the moment you choose to work with our team at Miami Pergolas, our experts will take the time to consult with you in order to understand your lifestyle, personal tastes and aspirations. We are then able to incorporate this information with our ideas and experience to write a design proposal for you that best suits your needs and lifestyle. 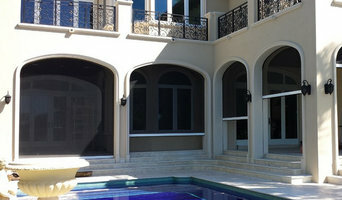 That is why Miami Pergolas is the company to call when you want a quality product with superior workmanship. Nuestra Empresa Bienvenido a Miami Pergolas, Diseños exclusivos que se adaptan a su estilo de vida. Miami Pergolas ha estado prestando servicios en el área metropolitana de Miami y sus alrededores, desde Broward hasta Miami-Dade y el condado de Monroe durante muchosz años. En Miami Pergolas nos esforzamos por ofrecer las mejores alternativas para su hogar, en el tiempo requerido y dentro de su presupuesto garantizando siempre la calidad. Desde el momento en que usted elige trabajar con nuestro equipo de profesionales, nuestros expertos se tomarán el tiempo de consultar con usted para comprender su estilo de vida, sus gustos personales y sus aspiraciones. Entonces de esta manera, podemos incorporar la información adquirida con nuestras ideas y experiencia para redactar una propuesta de diseño que mejor se adapte a sus necesidades. Es por eso que Miami Pergolas Corp. es una compañía en la cual puede confiar cuando se desea un producto de alta calidad y un acabado superior. Some contractors in Miami, FL can custom design and build any type of outdoor structure, from decking to pool houses, while others specialise in a certain area. A deck, patio and outdoor structures contractor will typically survey your space and come up with a design that complements your backyard and the exterior of your Miami, FL house. Find a Miami, FL deck, patio and outdoor structure pro on Houzz. Scroll through this page to professionals in your area that can design, build and supply materials for all types of outdoor structures. You can browse their latest projects, read reviews to see how other homeowners rate their work, and message them directly.